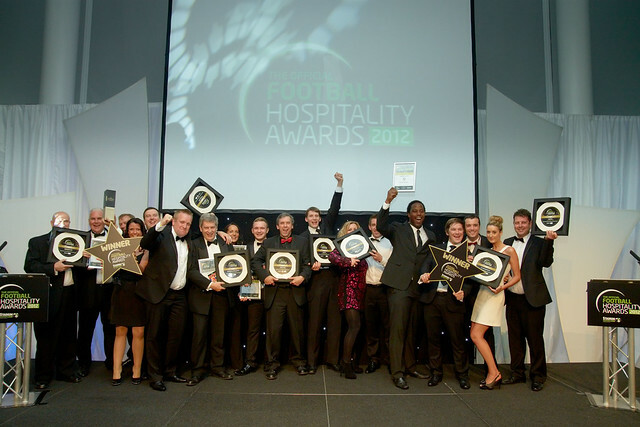 The Football Hospitality Awards 2012 were hosted in Brighton at the Amex Stadium, home of Brighton & Hove Albion Football Club. 2012 Football Hospitality Awards organised by Stadium Experience was hosted on Thursday 24th May 2012, in Brighton at the American Express Community Stadium, home of Brighton & Hove Albion Football Club. Attended by over 300 event, match day and hospitality staff from across the UK. Find out the 2012 Awards Results here. See the 2012 Awards Photo Gallery by clicking on the picture at the bottom of the page.